Six Flags Saint Louis is challenging six people to spend 30 hours in a coffin in honor of its 30th year of Fright Fest. Six Flags will select six people who are up for the challenge and will commit them to a coffin from October 13 at 1 p.m.to October 14 at 7 p.m. All remaining winners will receive the season passes and a Fright Fest package. Six Flags will provide "six, deluxe, 2' x 7', slight used coffins", as well as "meals, snacks and drinks in bed", as well as a six-minute bathroom break every hour. Six coffin dwellers will be chosen as part of Missouri Six Flags' Fright Fest. Coffin dwellers will be given designated restroom breaks, but if leaving the coffin for any other reason, they will be eliminated from the contest. 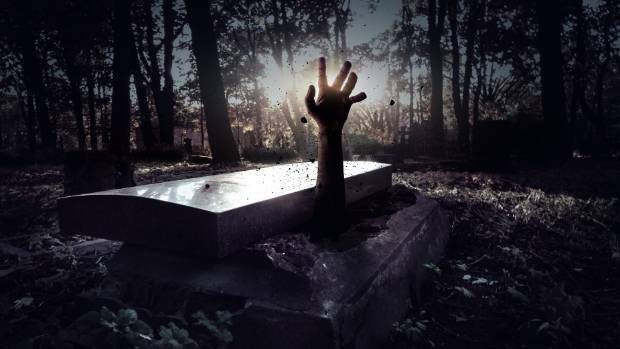 Fright Fest at Six Flags St. Louis is ramping up the spooks this Halloween season with a contest that's "to die for"-a 30-hour Coffin Challenge to celebrate 30 years of screams". If you think you can spend 30 hours in a coffin, fill out the registration form and submit it before midnight, on October 3. Their coffin! That's right - the handcrafted coffin is yours to keep! If more than one contestant wins a drawing will determine the victor.